I made this top last spring and finished making it into a quilt in the last few weeks. Simple patchwork using scraps of reds, pinks and whites from the leftovers from other projects over the years. 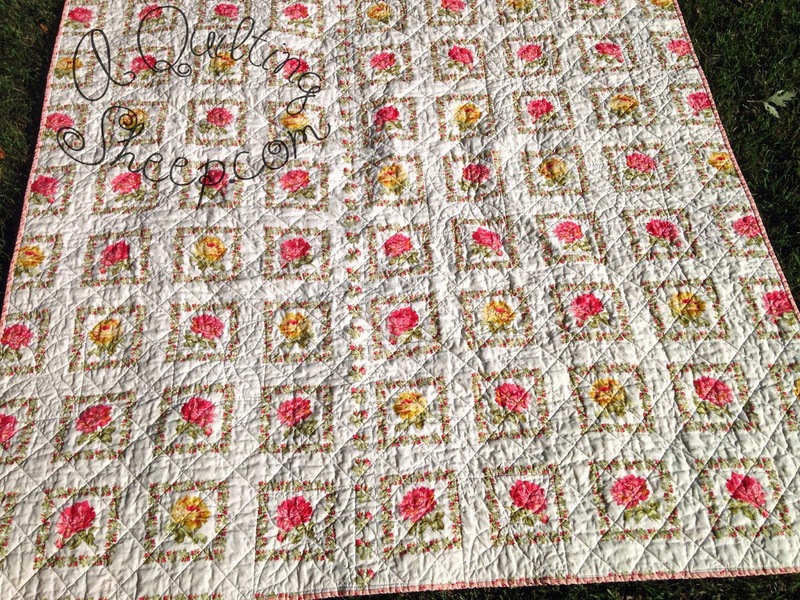 I quilted flowers in the larger squares. The rest of the quilt was simply cross hatched. Hey, that yardage *is* terrific for this! Don't you love when that happens? both top and back are looking great. The quilting too. 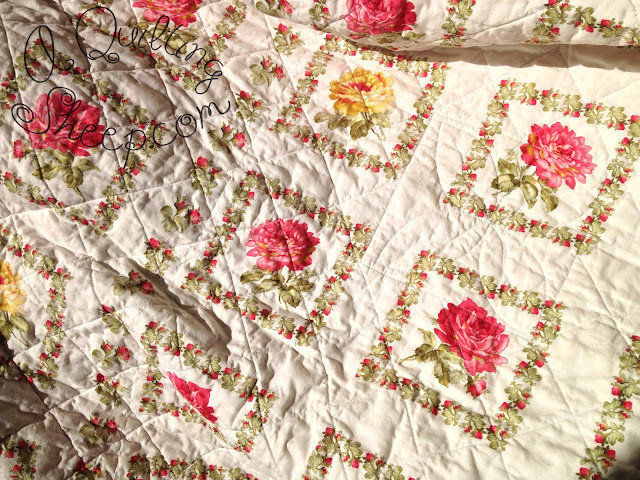 Pretty quilt. Wonderful as always Amy. Someone is very lucky! Amy your quilt is gorgeous. Love all the fabrics. The quilting you did is just wonderful. Someone is going to be very lucky to receive such a beautiful quilt. 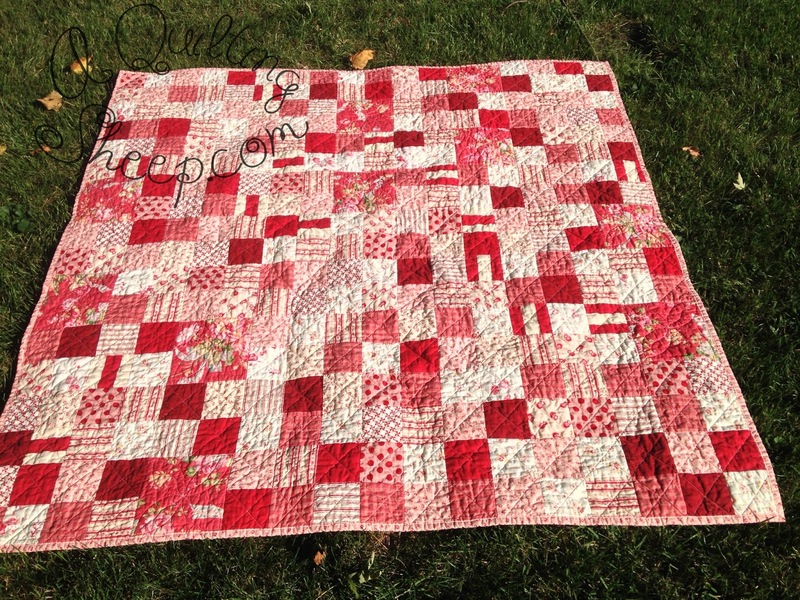 Oh wow - I love red and white quilts and this one is especially nice :) Great job! 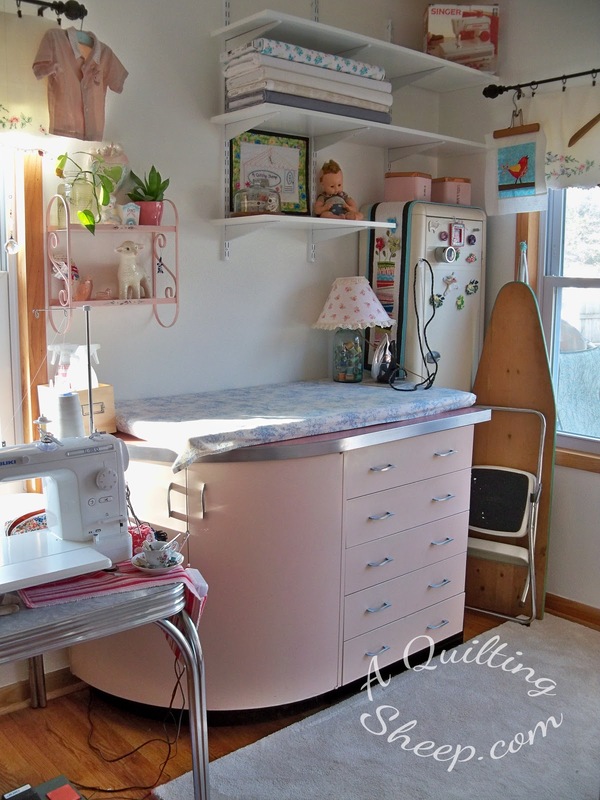 I love the backing and what a great idea for the quilting! That is SO pretty, Amy! 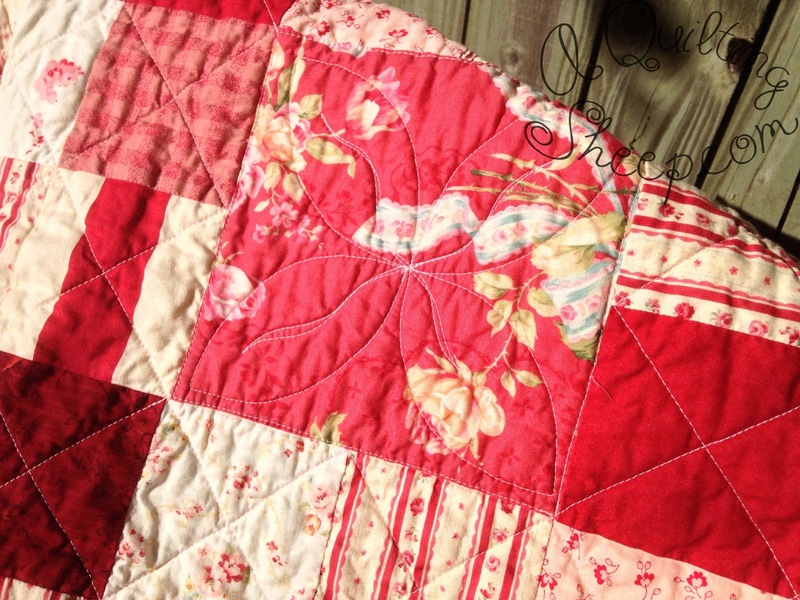 You know that I have a soft spot for red quilts! Another great finish. Just fabulous Amy. I love it when I can use my scraps from other things to make more beautiful things. Beautiful tones of red! And, yes, a perfect backing! It's beautiful! Someone will be very happy indeed. Awesome!! 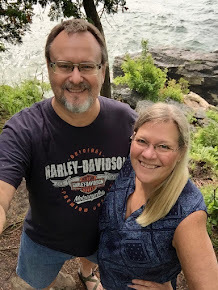 My internet to my Mac is down so I am hardwired in until we can get a Mac man on our wireless company to help me.....windows folks are lost!...is it all about system preference I KNOW that! I want me Wave back! !....but hardwire is good too for us quiltin gals! 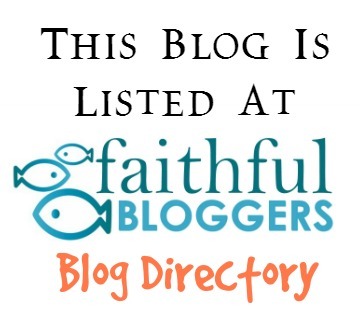 !so I have cathin up to do on blogs! !